Six of us gathered in Edinburgh for June's get-together. The early morning rain was all to the good: it banished thoughts of healthier outdoor pursuits and gave an excuse for a day's modelling. There was a fair bit of blethering but we also got some work done on Sauchenford, the group's layout. Jim had brought his latest signal from his Kirkallanmuir project for inspection. He's already described this on RMWeb, but another photo doesn't hurt. Note the ground signal positioned in front of the post of the bracket signal. Just to show he's no one-trick pony, Jim had also brought along some of his 4mm work. Yes, 4mm ... it seems that in his mis-spent youth he planned an enormous Hornby Dublo 3-rail empire in his parents' loft. Some of the rolling stock survived, and he brought it along to show us. Jim claimed these were built entirely from cardboard. Under some pressure from a hostile audience, he admitted the wheels, axles and couplings are not in fact card, but everything else including the underframes is. Presumably they burst into flames when the brakes are applied. They don't look too shabby for a teenager's models from half a century ago. Jim also demonstrated the fine art of hooking up the operating mechanism for the ground signals on Sauchenford. It seems you need all ten fingers and laser vision to do this. Nigel was working on changing the stay-alive capacitors from ceramic to tantalum types on his 02 class shunter (body from a Worsley Works NS etch, scratchbuilt chassis), in order to benefit from their superior performance at the DCC operating voltage. He explains the background in his blog. In this shot, the old ceramic capacitors are still attached to the loco. In the background is a block of old tantalums used to check the space in the cab. The next stage was to remove redundant components for cab lighting. Here, the ceramics are still in place, with their charge/discharge components visible linking them to the decoder. There was further work to do but at that stage I went off to make coffee, and by the time I got back the job was complete.The new capacitors fitted neatly in the loco cab below window level, no mean feat in such a small prototype. Stephen had brought with him the White Rose Modelworks 30cm x 90cm lasercut baseboard kit he'd purchased at the recent Bournmoor Expo. It made up into a very robust, lightweight, perfectly square unit. Stephen already has a cunning plan for it, which he proceeded to talk us through. Rather than reveal all at this stage, I'll just show the drawing. Alistair was meanwhile drawing out a plan for a new layout (hang on ... what happened to his previous plan(s)?). Alisdair and Nigel continued platelaying on Sauchenford while the rest of us leaned on our shovels and watched. Nigel's 02 came in handy for finding dodgy bits of track, which Sauchenford seems to sprout whenever it's in storage for a month or two. This proved the value of the stay-alive capacitors: the 02 was rock solid over the track imperfections and dirty spots which cause poor running in other locos. The rest of the time was filled by the ritual consumption of bacon rolls (barring Nigel, who has not quite adapted to the Scottish diet yet: we stretched a point and allowed him a chicken salad just this once, since he'd impressed us with his tantalum capacitors, but we'll be keeping him under observation) and lemon drizzle cake. The sun started to shine by mid-day, but all thoughts of healthy exercise were forgotten. Quite right too. 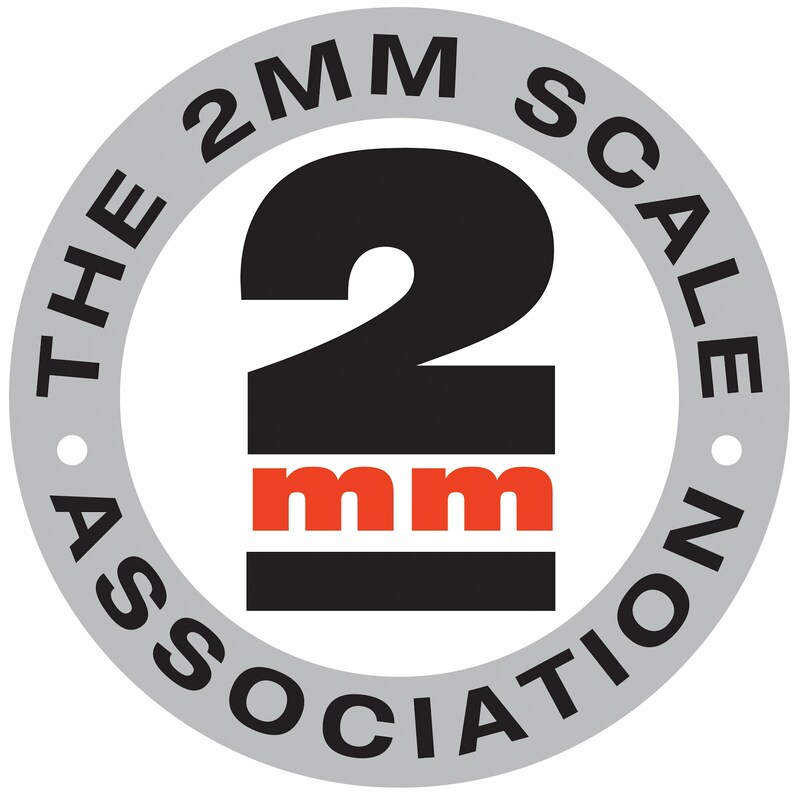 The FCAG team will be manning the 2mmSA Further North roadshow at the Perth MRC exhibition later this month - if you're going, please be sure to stop and say hello.